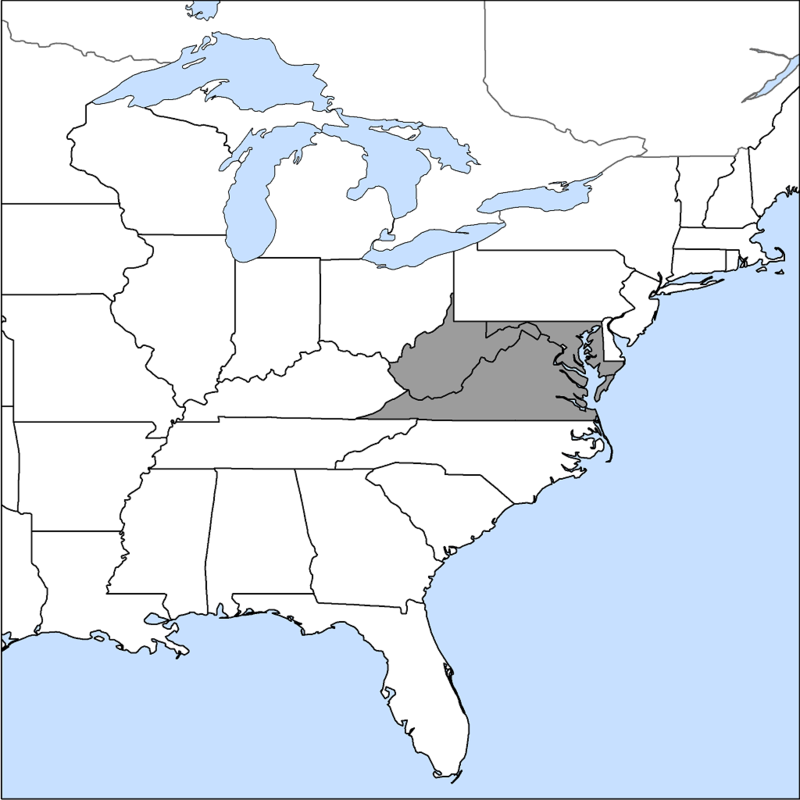 The Basic Oak - Hickory Forest is found on lower- to middle-elevation slopes in the northern Blue Ridge and adjacent western Piedmont . Trees in the Basic Oak - Hickory Forest include northern red oak, chestnut oak, red hickory, pignut hickory, mockernut hickory, tuliptree, white ash, eastern redbud, and flowering dogwood. In the shrub layer , look for mapleleaf viburnum. A large number of different species grow on the forest floor, including cutleaf toothwort, wreath goldenrod, naked-flower tick-trefoil, broadleaf enchanter’s-nightshade, and rattlesnake fern. This natural community usually occurs atop igneous or metamorphic bedrock that is rich in elements like calcium and magnesium that make the soil less acidic and more fertile.